Who is going to Wolves? 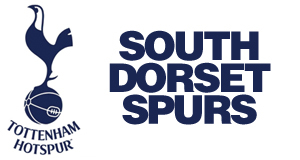 The South Dorset Spurs Forum for members to discuss Spurs, what's happening in the area, and travel arrangements. Unfortunately, i can't make the wigan match but will be coming with you for the wolves match. who else is going to the Wolves game and where are you sitting? This time i are mainly be sitting in...........H7 with Bob savage - which is nice. Re: Who is going to Wolves? not me,i have a works xmas party that evening. ull have to fine someone else to drive the bus. gixer wrote: not me,i have a works xmas party that evening. Shame you can't come - you are the Jensen button of minibus drivers! thanks for that tony,i should well be too,its my job,driving that is. come on then guys,whos going to step up to the plate????? I am going sitting in Paxton lower! Reserve a seat on the love bus! Andyuk6 wrote: I am going sitting in Paxton lower! Reserve a seat on the love bus! Good place to be 2nd half - but a bit quiet. Also closer to the pub !!! » Wolves v Aston Villa.